Keyframe-Entertainment is a specialized branding and strategy firm, which produces, supports, and distributes cutting-edge projects. 2018 was an amazing year for Keyframe events! We’re honored to have played the VIP room @TheMidwaySF on New Year’s, hosted “COSMIC HEART” in honor of 2 Guatemalan festivals, and showcased the convergence of VR and Electronic Dance Music @The Great Northern in SF! We look forward to making this a multi-city event in the near future; please contact us to collaborate, and visit our Events page for exciting upcoming events nationwide! Keyframe is the Executive Producer of Fifer Garbesi’s ‘Con Te Damanhur,’ a Virtual 360° experience of the Damanhur community now available on Oculus! 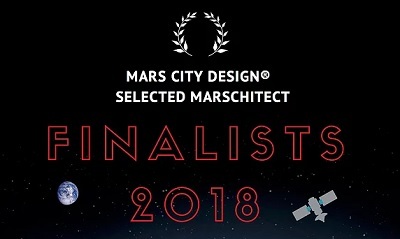 Julian and his team are honored to have been selected as 2018 FINALISTS for their Mars City Design of Boredome! To learn more about Keyframe’s work in VR, please visit the Keyframe VR page. Keyframe is pleased to have hosted two San Francisco screenings of ‘Amplify Her’ so far! To learn more about this film and project, including how to screen the film in your own community, please go to the ‘AMPLIFY HER page. Following the philosophy of remixology, Julian Reyes of Keyframe-Entertainment was inspired to not only produce the music remixes of IAMEVE’s amazing “Starman”, but to remix the music video as well. Read the “STARMAN” KEYFRAME REMIXES MUSIC VIDEO LAUNCH article on OneEDM. To learn more about our history and current projects, please visit our About Us page, and view our Social Media Strategy and Marketing Services here.